Posted on 05/31/2018What Are My Non-Surgical Options for Heel Pain? Posted on 04/13/2018What is PRP and How Does It Work? Stephen Curry. Kobe Bryant. Tiger Woods. Alex Rodriguez. Hines Ward. Rafael Nadal. What do all these guys have in common—aside from reaching the pinnacles of their respective sports? All have used platelet-rich plasma (PRP) to help them recover quickly from an injury or surgery. And you can too! 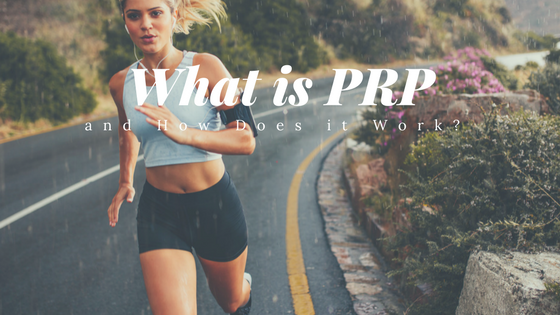 Why Do So Many Athletes Choose PRP? Elite athletes are always looking for an edge. That’s true when they’re training for the season or choosing the equipment they play with. It’s also true when choosing medical procedures to help them get back in the game—at full strength—as quickly and safely as possible. Since PRP first became widely available in the 90s and early 00s, athletes have turned to it in significant numbers. PRP is a non-surgical and minimally invasive procedure. It uses an athlete’s own blood and tissue, rather than unnatural medicines or chemicals. Whether used as an alternative to surgery, or as part of post-surgical rehabilitation, PRP can cut healing and recovery time in half from what we’d otherwise expect, and achieve better long-term results. PRP is effective in cases of both traumatic injuries and chronic pain. In some cases, PRP has even helped fully heal an injury that might have required career-ending surgery, allowing them to continue to play. But we don’t want you to get the mistaken impression that PRP is a fancy, expensive procedure that’s just for elite athletes. It has become an effective and accessible advanced treatment option available to people of all walks of life. All right, so we’ve told you that it works, and that athletes love it. But you might still be in the dark about the what and the why. In order to begin to answer those questions, we need to talk a bit about your blood. Plasma. The liquid portion of blood, which all the blood cells “swim.” It’s mostly made of water, and is actually yellowish on its own. It makes up a little more than half of your blood volume. Red blood cells. These cells are why blood appears red to the naked eye. They have one main task—to carry oxygen from the lungs to the various cells of the body. They make up a little less than half of your blood volume. White blood cells. White blood cells are the “police force” of your immune system. They fight invasive germs and foreign objects. They make up about 1% of your total blood volume. Platelets. Since platelets are our star attraction, we’ll describe them in a little more detail below. Platelets are small, disc-shaped cellular fragments found only in mammals. You have about 10 to 20 red blood cells for every platelet, but because each individual platelet is so small (only about a quarter the diameter of a red blood cell), they make up a very tiny portion of your total blood volume. Despite their small size and numbers, however, platelets are extremely important. Platelets are best known for their role in coagulation—in other words, blood clotting. When a hole opens in a blood vessel, platelets rush in and adhere to the opening. Essentially, platelets seal the cracks like caulk, preventing blood loss long enough for the body to repair the blood vessel more permanently. But that’s not their only function. Platelets are also packed with dozens of different growth factors, powerful proteins that are critically important for wound healing, injury recovery, and tissue regeneration. Increasingly the supply of platelets within the immediate vicinity of an injury can rapidly accelerate the healing and recovery process. So here’s what the process looks like. We start by simply drawing a sample of your blood. Next, we place that blood in a specially designed centrifuge. When the centrifuge spins, it separates the blood into all its constituent components. Once the blood is separated, we can remove all the red blood cells (which make up nearly half the volume of blood) and add the platelets back into a sample of plasma. This means that the concentration of platelets per unit of blood mixture is much higher than normal—by 5 to 10 times. Once the sample is prepared, we re-inject the now platelet-rich blood plasma mixture back into the body, right at the site of injury. At our office, we use an ultrasound device to guide the injection, which ensures that we hit the injury site squarely and very little of the mixture is wasted. The platelets do their thing, flooding the damaged tissue with delicious, nutritious growth factors. This begins something of a chain reaction of body functions, including the formation of new blood vessels and release of other nutrients from neighboring cells. That’s why PRP is considered an important treatment in the field of regenerative medicine—because it triggers natural, biochemical processes to do its work. It helps your own body heal itself much more effectively. Chronic pain in the back, neck, elbow, rotator cuff, etc. Do you need to bounce back from an injury or surgery as quickly as possible? Or maybe you’ve been struggling with chronic, nagging pain that simply hasn’t gone away, no matter what you try? Give us a call today—we’d love to help! You can reach our office at (702) 839-2010.